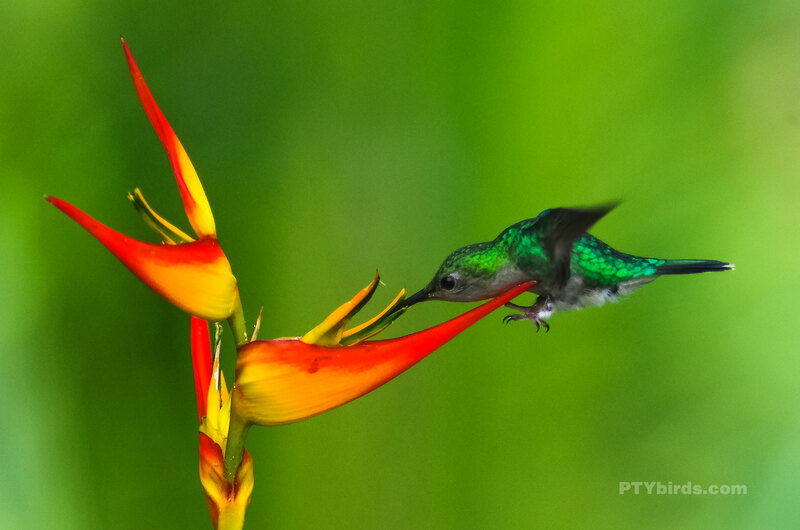 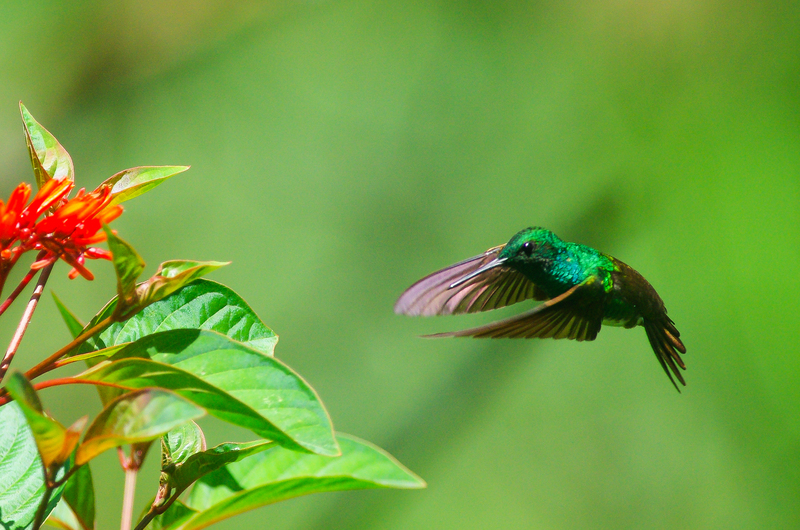 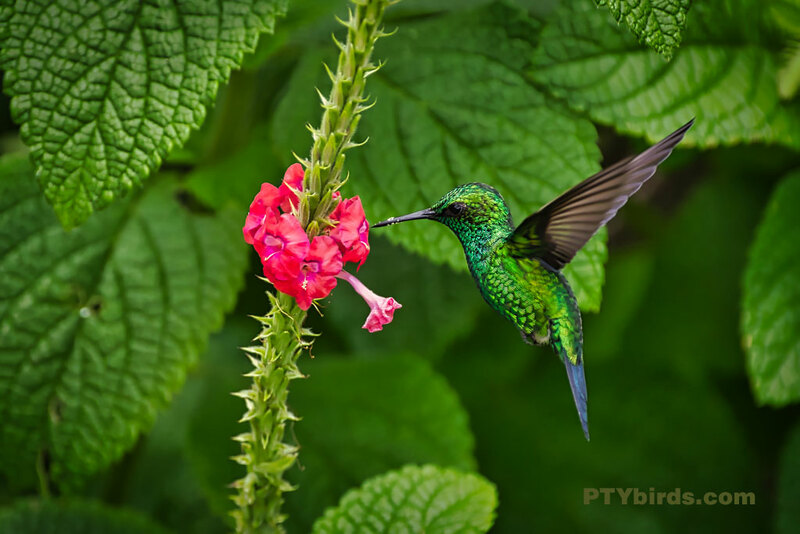 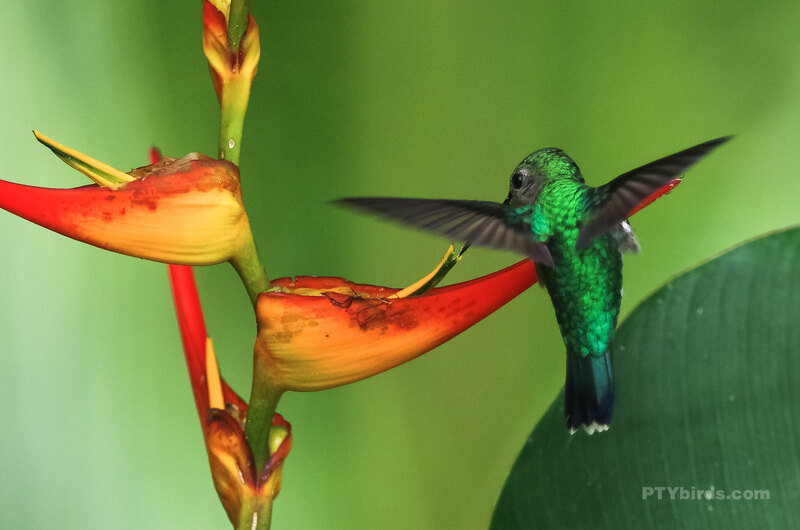 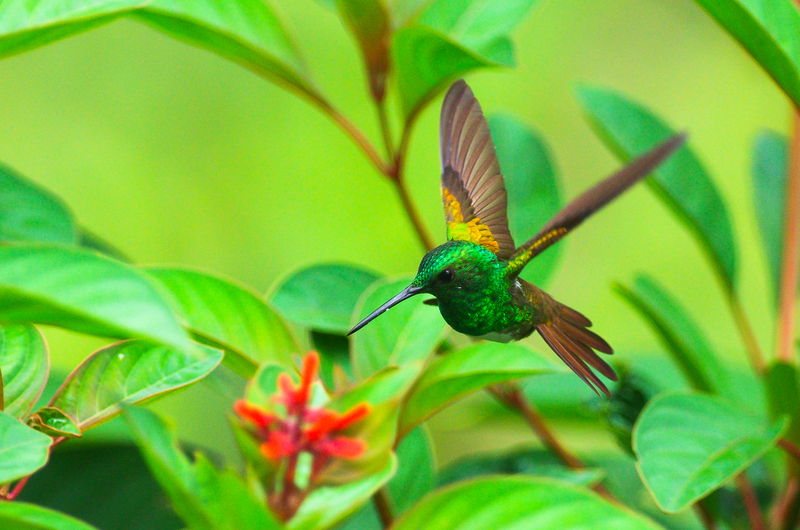 The garden emerald is a small hummingbird that is an endemic resident breeder in Costa Rica and western Panama. 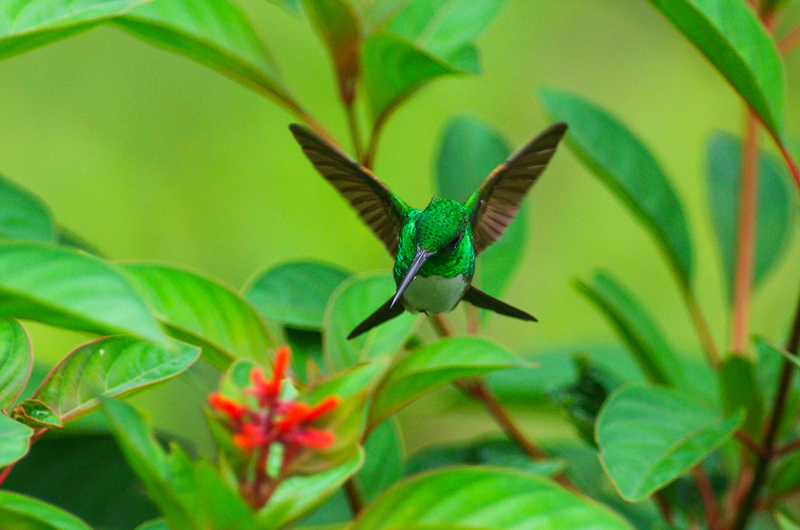 The attached image was taken in Altos del Maria, Panama. 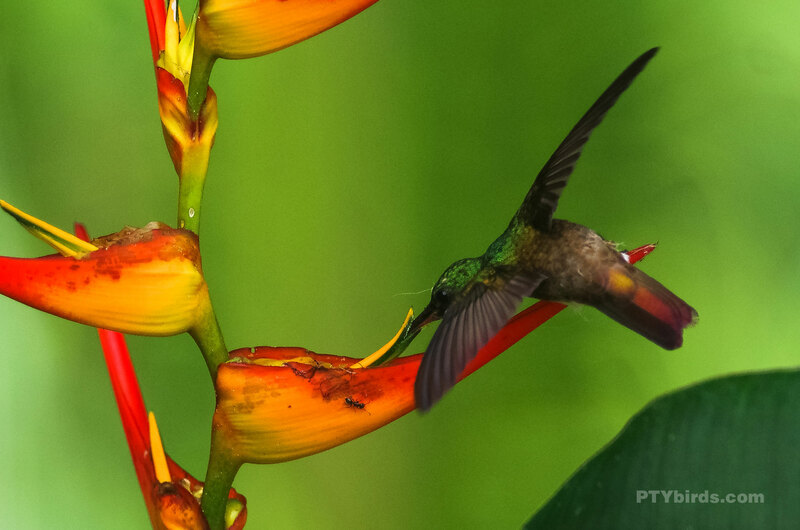 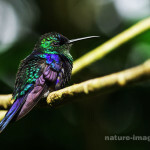 The snowy-bellied hummingbird (Amazilia edward), sometimes placed in the genus Saucerottia, is a species of hummingbird in the family Trochilidae. 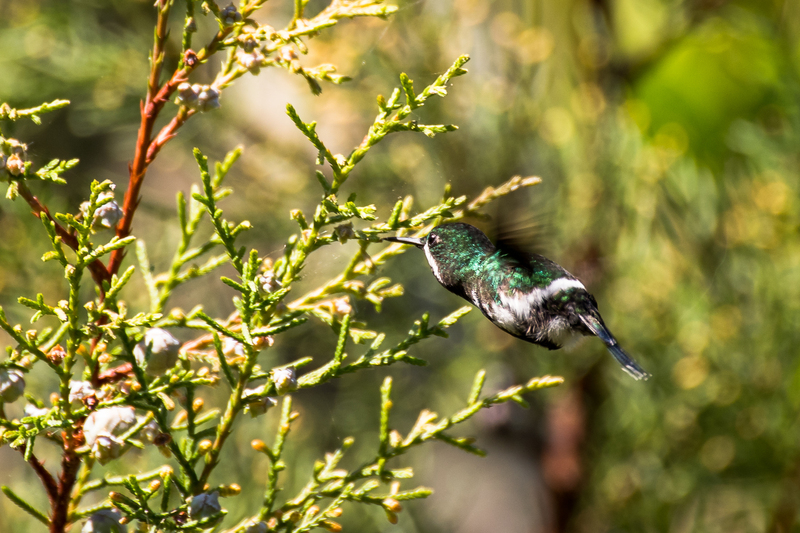 It is sometimes known by the name snowy-breasted hummingbird. 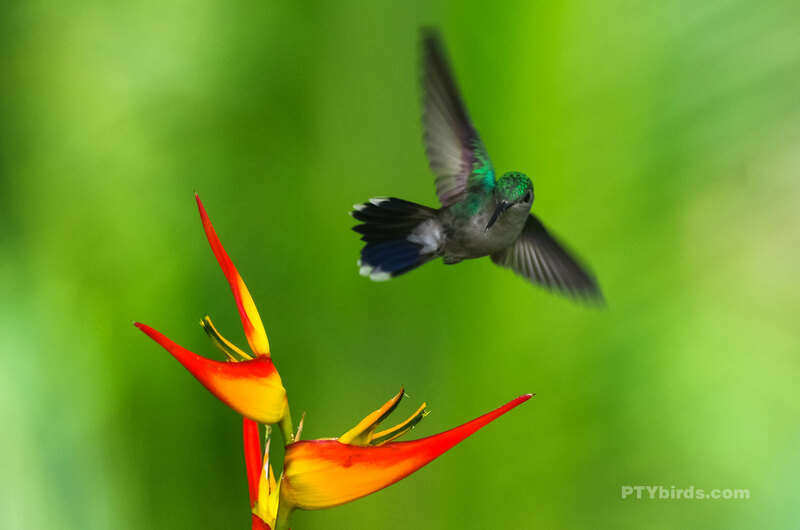 It is found in Costa Rica, Panama and far north-western Colombia, the attached image was taken in Panama. 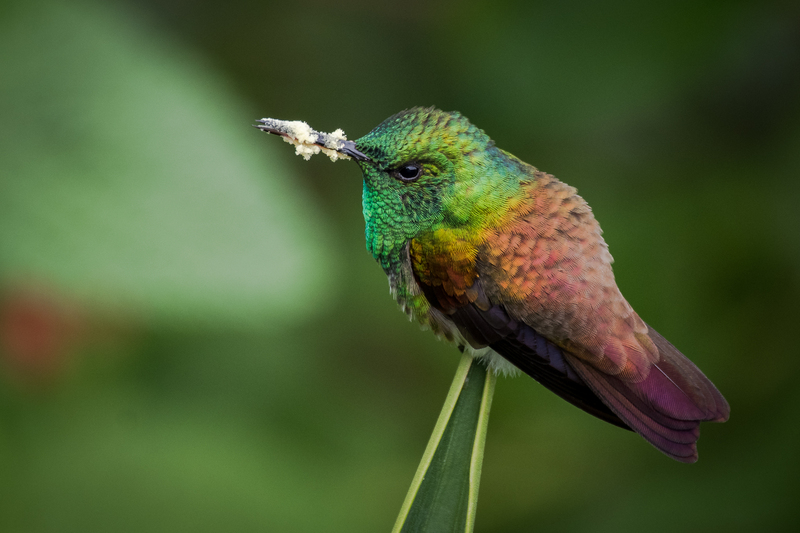 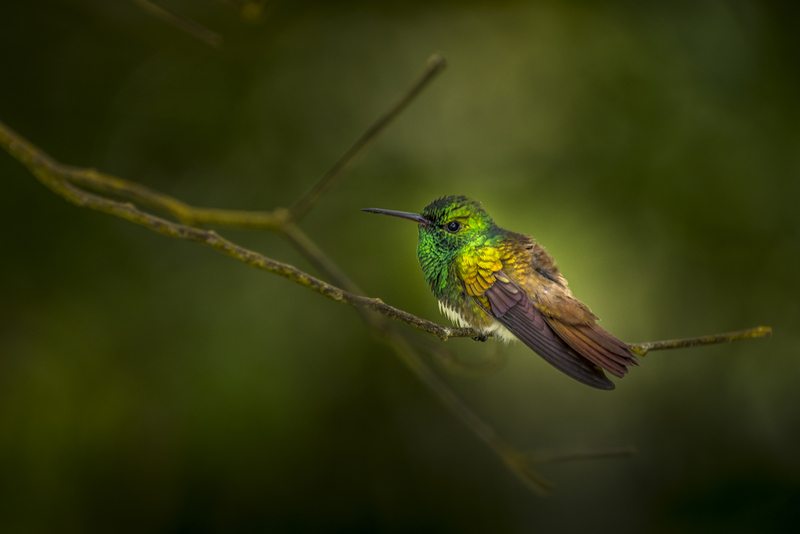 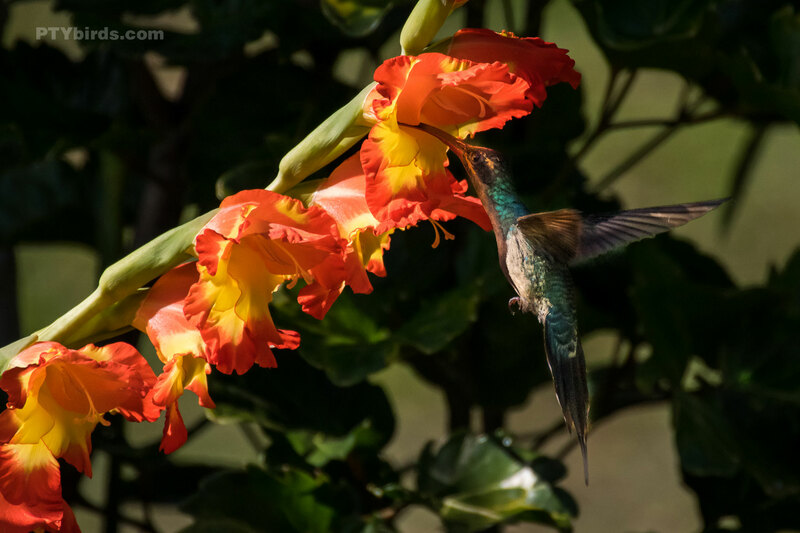 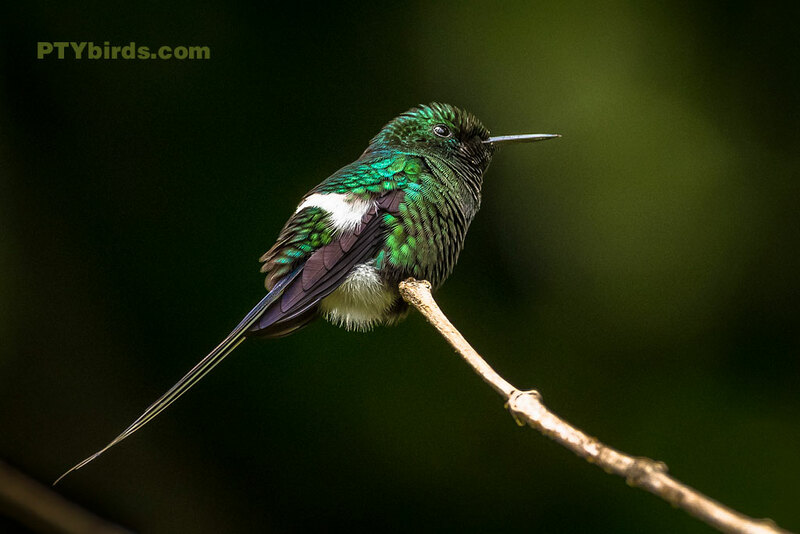 The white-throated mountain gem (Lampornis castaneoventris) is a hummingbird which breeds in the mountains of western Panama. 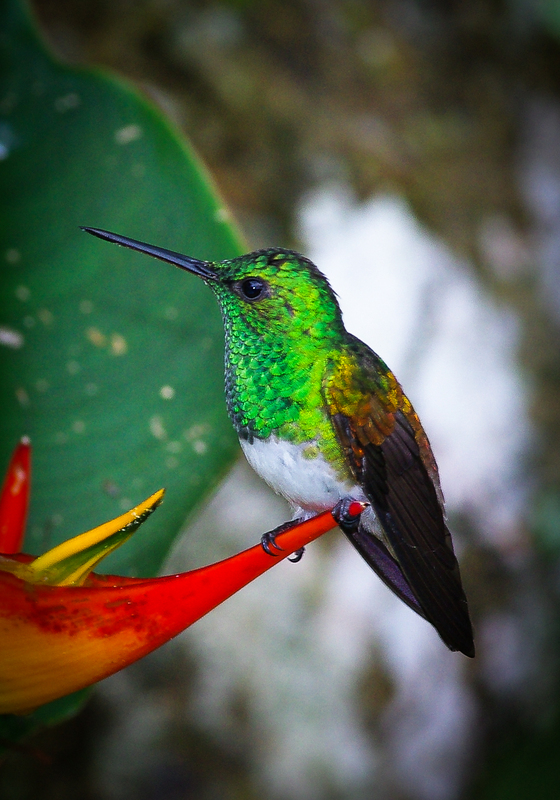 The attached image was taken in Cerro Punta in Chiriqui, Panama. 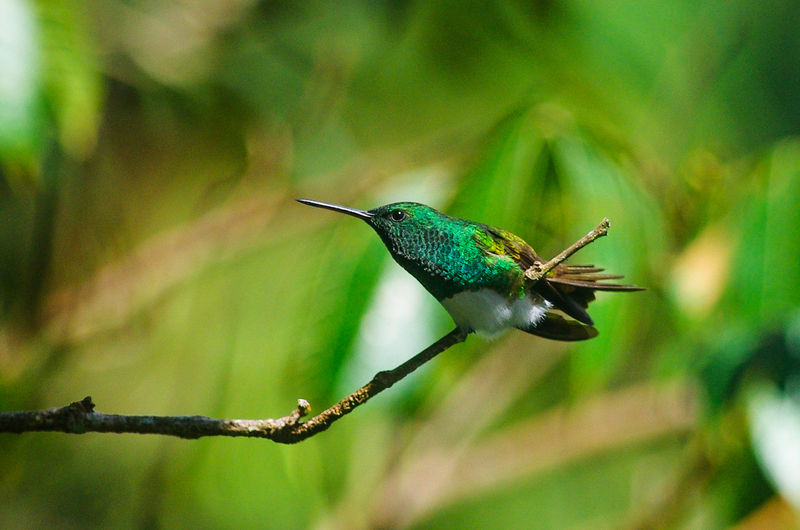 Green thorntail female hummingbird image taken in Altos del Maria, Panama. 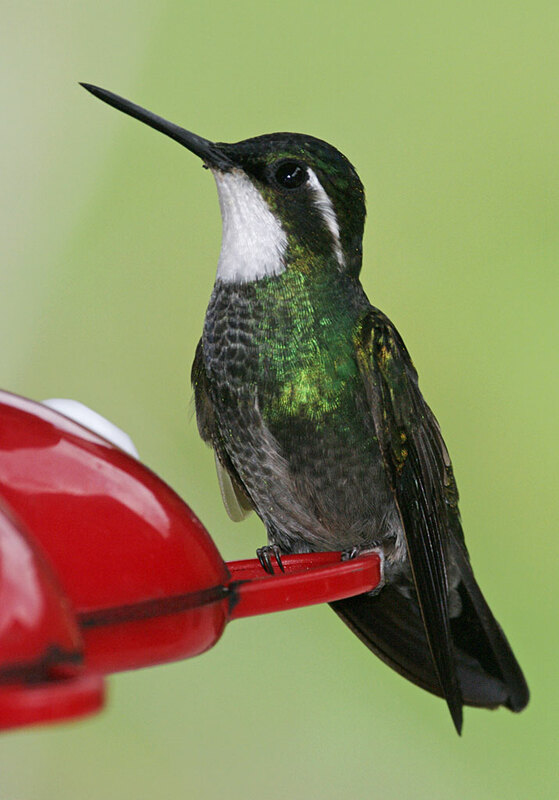 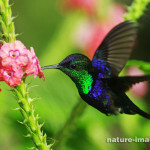 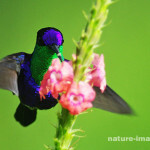 The purple-crowned woodnymph hummingbird lives from from Guatemala and Belize to northern Colombia and western Venezuela. 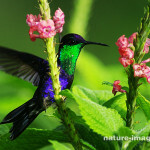 The attached images where taken in Altos del Maria, Panama.